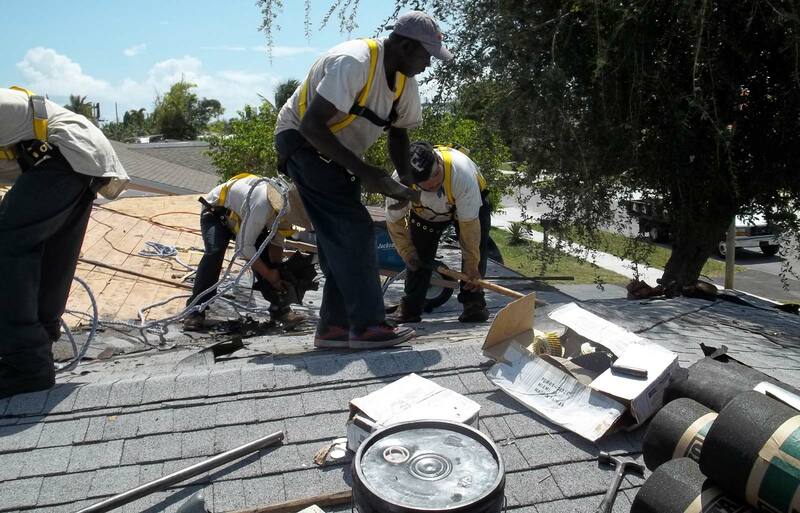 You don’t want to be caught with a faulty roof that leaves you with leaks and the need for early repairs – particularly not from May through October when South Florida experiences air mass thundershowers and heavy rains. An aging roof is one of the first things that a realtor will notice in your home. It is an unnecessary aspect to lose value on, especially when it can be avoided. When the need for repairing, or replacing a roof arises – the cost can be disconcerting. Low cost roofing is an attraction that demands a second glance – but with the near certainty that it will also require a second repair shortly after. It is important to get good pricing for roof installation or repair but it is vital to make sure that price comes without compromising the quality of the job. The ‘real’ cost of a roof includes the cost of repair that follows within a short space of time. There are ways to avoid the problem of cheap roofing repairs and installations. Make sure that you talk to past customers as a reference for the roofer, check with the Department of Business and Professional Regulations, the BBB and read the roofer’s guarantees. Trust an experienced and reliable roofing team to do the job professionally – whether it’s a minor job, an interior, exterior or re-roofing job. Looking after your home demands high grade materials for the protection of your belongings and loved ones. Save time and energy (and money in the long run) by hiring a licensed and insured contractor to perform any metal, tile, shingle and flat roofing that you may need. If you need any repair work done, don’t hesitate before getting in a professional to assess and repair your interior or exterior needs, roof leaks, celling work, or drywall and stucco repairs. Commercial jobs can be a massive feat – from condominiums, strip centers and other commercial roofing – a quality and licensed roofing contractor who is honest in their pricing and products is essential. Proper installation, with proper materials, is key to the longevity of your roofing. The lowest price need not be the ‘cheapest’ option. Call AABCO Roofing, Inc for your free estimate today!